Trainer Chris Munce believes the lack of a clear standout in tomorrow’s Group 3 Newcastle Cup (2300m) opens the door for honest stayer FIRST CRUSH to cause an upset and add another feature Cup to his tally. FIRST CRUSH heads into the race as one of the outsiders at $17 in pre-race betting, however, Munce believes the Grafton Cup winner will be ‘very competitive’ in an open race. "It looks an even sort of race, obviously the Wyong Cup form is relatively solid form going into this race, but having said that, he’s fit and healthy and well,” said Munce. "If he gets the right run in the race and can find a good spot from barrier 11, I’d expect him to be very competitive and we certainly know he’ll put in 110 per cent." FIRST CRUSH tuned up for the race with an eighth placing over the much shorter Premier’s Cup (1900m) three weeks ago and will be reunited with jockey Mark Du Plessis tomorrow. 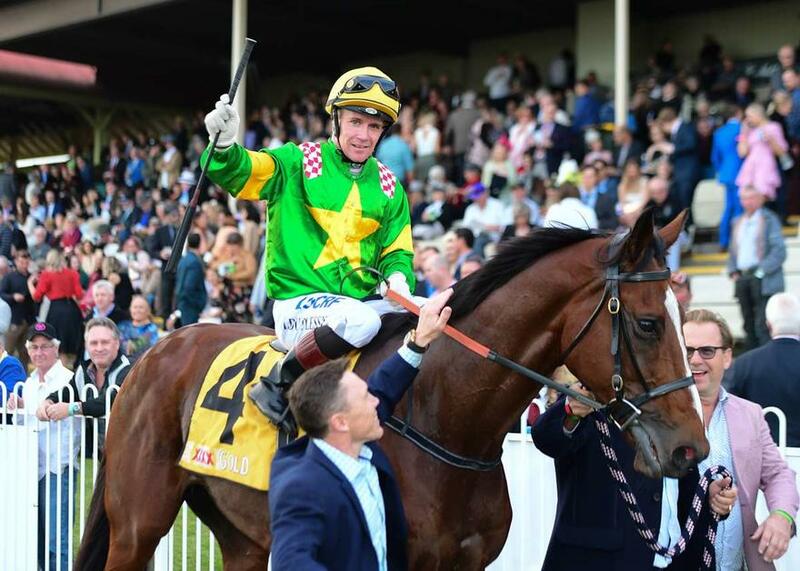 Du Plessis rode the stayer to victory in the Grafton Cup (2350) and also a second placing in the Caloundra Cup over 2400m in his only other ride on the horse, before James McDonald partnered the gelding in the Premier’s Cup. The seven-year-old made the trip from Brisbane to Newcastle on Tuesday evening in order to give him some down time ahead of the race and Munce said he travelled well. “He’s had a couple of easy days since arriving in Newcastle and I’m very happy with him going into the race,” he said. "It took him a little while to get over his Sydney trip but he’s back on top of his game now." The stable also has thee-year-old STARKERS resuming at Ipswich tomorrow in the Colts, Geldings and Entires Maiden Hcp (1200m) following on from two unplaced runs as a two-year-old earlier in the year. "He’s drawn a relatively nice barrier and with the services of Jeff Lloyd, he gets his opportunity,” said Munce. “I’d like to see Jeff let him roll along and not restrain him too much as I think he’s a bit of a free-running horse. “He’s has two nice trials and a couple of gallops in between so he’s fit enough for a first-up assignment."